PART I FUNDAMENTALS. Basic Formulation of Sea Waves. Introduction. Regular wave theory. Description of random waves. Wave Interactions with Structures and Hydrodynamic Forces. Introduction. Boundary-value problems on wave interaction with body. Numerical analysis on the wave boundary-value problems. Analysis for large bodies. Wave forces on small bodies. Wave transformation through permeable structures. Vortex flow and fluid force. Generation of wave impact load. Waves, Wave-Induced Currents and Sediment Transport. Introduction. Fluid motion and bottom shear stress in wave-current coexisting system. Sediment movement and beach deformation. Formulation of sediment transport rate. Prediction of wave transformation and wave-induced current. Prediction of topographic change caused by non-equilibrium suspended sediment transport.PART II APPLICATIONS. Structures for Wave Control. Wave control mechanism. Rubble mound breakwaters. Composite breakwaters. Submerged breakwaters with a wide crown width (artificial reef). Low reflection structures. Curtain-wall type breakwater. Floating breakwater. Membrane structures. Structure for Controlling Sediment Movement. Basic concept and structure for controlling sediment movement. Beach deformation control by offshore detached breakwaters. Control of beach deformation using groin. Control of beach deformation by submerged breakwater and artificial reef. Control of beach deformation by sea dike of gentle slope. Artificial beach nourishment. Protection works against shoaling in harbors and navigation channels. Structure for processing river mouth. Marine Structures for Ocean Space Utilization. Introduction. Offshore structures. Piled pier structures. Oil booms and silt curtains. Harbour Tranquility. Workable limit of a harbor. Numerical methods for the prediction of a wave field in a harbor. Numerical methods for the prediction of ship motions in a harbor. Long-period ship motions. Countermeasures for harbor tranquility. Problems associated with relative motions of two adjacently-moored floating bodies. Fishery Structures. Classification and function of aquacultural propagation facilities. Artificial fish reef (AFR). Submerged moored artifical habitat. Submerged buoy-cable system for shellfish farming. Floating fishery cages. Index. The science and technology of coastal and ocean engineering are closely related to harbour and fishery engineering, because they share a common basic knowledge. However, whereas various publications of coastal engineering, harbour engineering, and ocean engineering have described just the knowledge in their own respective fields, an interrelated and systematic presentation linking them together has yet to be attempted. 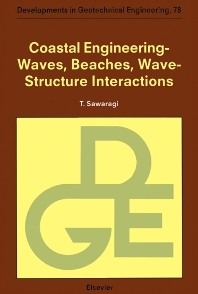 This book is the first attempt to systematically combine the fields of coastal, ocean, harbour, and fishery engineering from an engineering viewpoint backed by hydrodynamics. Understanding the interaction of waves with structures and sediment, and predicting the associated responses of interest, underlie nearly every problem in coastal and ocean engineering. This is precisely the goal of this book. Although primarily intended for use as a special textbook for graduate students and senior practising engineers, it is hoped that this book will also serve as a useful reference and assist in the further development of this field. With these objectives in mind, each chapter deals with important problems to be solved in the near future. The references included in each chapter should aid students and practising engineers in further broadening their knowledge.